Is defection ‘bad for democracy'? back to CCM. Screenshot via KTN News Kenya on YouTube. October 18, 2015.
on multi-party politics in the East African nation. CCM in the last few years. according to the East African. fear and lack of trust among citizens. from it four years ago. 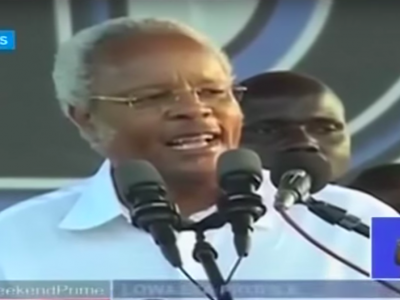 Lowassa was forced to resign after being implicated in a fraud scandal. million votes or nearly 60 percent. also a member of UKAWA, earned 45 seats compared to 36.
kill the opposition, she added. that defectors are being lured by CCM as a way of muzzling the opposition. Salaam, cautioned that it is hard to regain legitimacy once it's gone. disobedience and illegitimate governance, he observed. political rallies and live-broadcasting parliamentary sessions. rallies within their constituencies. Violators face arrest and prosecution.